Professor Steven Buigut is Professor of Economics at the American University in Dubai. He received his MA and PhD in Economics from the Andrew Young School of Policy Studies at Georgia State University. 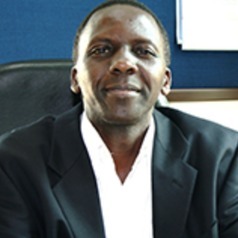 He also holds an MPhil and BSc in Agricultural Economics from Moi and Egerton universities in Kenya respectively. He has served as Chair of the Accounting and Finance department and Associate Dean of the School of Business Administration for nearly 7 years. His teaching interests include Macroeconomics, Applied Econometrics, Monetary and International Economics. Professor Buigut’s research interests include Monetary Economics and International Finance. A significant part of his research has focused on regional integration effort in developing and emerging economies, especially the Sub-Saharan African. He is also keen on Tourism Economics. He has published in several journals including the Review of Development Economics, World Development, International Finance, South African Journal of Economics, Tourism Economics, Tourism Analysis, Poetics, and International Journal of Social Economics, among others. Professor Buigut has also done consulting work for several training and research institutions such as AERC, KIPPRA, and APHRC.